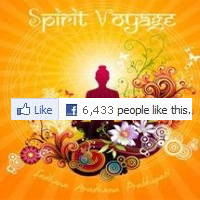 Find inspirational quotes on Spirit Voyage’s Social Media – Facebook, Instagram, Twitter & Pinterest! 2) Community of like-minded people. 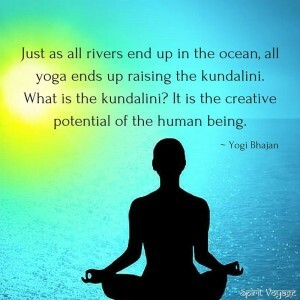 Any time of day, any day of the week, I can go to the Spirit Voyage website and find articles by like-minded people or visit their Youtube Channel and watch Kundalini Yoga & Music videos. Even though my husband is a mensch, a wonderful man and dad, and we share the same values, he’s not a Kundalini yogi, and sometimes I feel like I need to connect with my community about what’s important in the yoga world. I love reading the blogs and comments of others who are devoted to the practice. 3) The quality of the music. I have been consistently impressed, uplifted, consoled, and enervated by the outpouring of beautiful music from Spirit Voyage by both seasoned and young, new sacred chant artists. I can honestly say there is not a single Spirit Voyage artist that I do not adore. Their voices, their dedication, their artistry, their devotion, all come through in the music. Everything they produce is done with love and care. 4) The Blog. I love reading about other’s experiences with Kundalini yoga, and this is a great site for learning about how others relate to the practice. Many of the blogs contain links to meditations, music, pranayama, or mantras, so they are very informational as well as personal. As a teacher, this is a useful resource, and for students practicing on their own it’s also a wonderful way to get ideas. 5) Everything you need for a Kundalini lifestyle. If you do need something from the physical realm (a head piece, pants, jewelry, music, books, whatever) this is a fantastic place to order it. I’ve always had positive experiences with items I’ve ordered from Spirit Voyage. The merchandise is high quality and lovely. 6) Global Sadhanas. Wow…er, Wahe Guru! I have participated in many of the Spirit Voyage Global Sadhanas. Here is an opportunity to delve deeply into the practice—with thousands of other yogis from all around the globe. 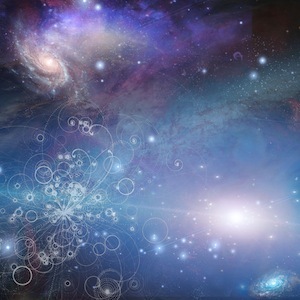 This is such a loving way to tune into the group energy and practice a meditation and mantra. If you haven’t checked these out yet, please do. At the moment there’s a beautiful sadhana led by Mirabai Ceiba. 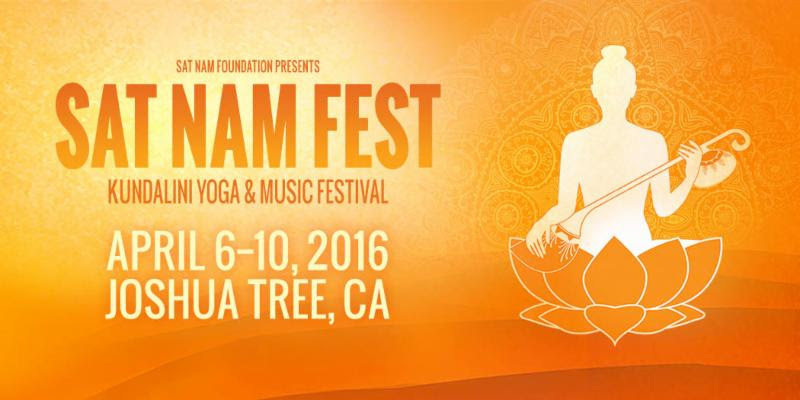 7) Sat Nam Fest. There is one festival on the East Coast of the United States and one on the West Coast each year. I’ve been fortunate enough to attend the event twice (and hope to go again next year!). Sat Nam Fest is an incredible experience! 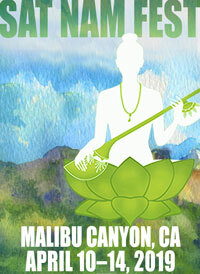 Five days of Kundalini yoga classes, lectures, community, great food, music and fun! 8) The Vlog Series. A new addition on the blog is Aykanna‘s Vlog Series. I’m really enjoying the series running right now, focusing on releasing stress and tapping into vitality. In this Vlog Series, you get to know these incredible musicians as real people, and you learn techniques that can really help you in your practice and daily life. 9) Events. If you’re wondering if any of these amazing musicians are in your area, you can check out the Events Page for their touring schedules. You may be pleasantly surprised to find that there’s a concert near you coming soon! 10) Never bored! Not that I’m ever bored anyway, life being a cornucopia of amazing blessings it is, but just in case you ever have a few minutes waiting for a train or picking your child up at school, logging onto Spirit Voyage is a great way to utilize the time. There’s always something interesting or fun to read on the blog or their Facebook page; inspirational quotes are posted each day on Instagram, Twitter & Pinterest; and you can always listen to samples of beautiful music on their website! I’m sure you have your own reasons for loving Spirit Voyage, and I’d be happy to hear them. Sat Nam!